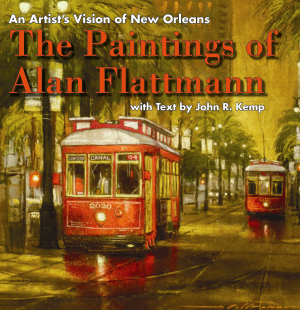 With his evocative paintings of New Orleans, Alan Flattmann is one of the most renowned American pastel artists. The haunting images capture life around the city, from the soulful Vieux Carré to the stately Garden District to the mighty Mississippi. Cooks and customers contemplate the food in Galatoire’s kitchen; a waiter rests, exhausted, in a chair outside of Café Du Monde; a streetcar picks up passengers looking to escape the rain. For more than four decades, Flattmann has expressed the timeless charm, mysterious appeal, and friendly personalities of New Orleans. The Crescent City shines as never before through Flattmann’s vibrant pastels. 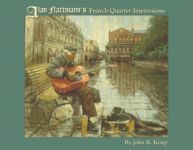 In this collection, Flattmann and essayist John Kemp bring together scenes from the many neighborhoods of the city to complement the well-known images of the French Quarter. Accompanying these magnificent portraits, landscapes, and urban visions, Kemp’s essays articulate Flattmann’s unique perspective and technique. Alan Flattmann is a native New Orleanian who studied at the John McCrady Art School on a New Orleans Art Association scholarship. Flattmann is a recipient of the American Artist Art Masters Award for pastels and the Master Pastelist distinction by the Pastel Society of America. His works are treasured pieces of numerous public, private, and corporate art collections. John R. Kemp received a bachelor’s degree from Loyola University in New Orleans and a master’s degree from the University of Southern Mississippi. A former staff writer for the New Orleans Times-Picayune, he is a frequent contributor to cultural and arts publications, including Southern Accents, Louisiana Life, and Art and Antiques. Kemp was chief curator of the Louisiana State Museum’s Historical Center in New Orleans. 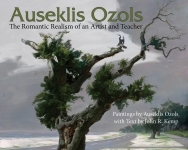 He is the author of a collection of books on art for Pelican, including The Solace of Nature: A Photographer’s Journey, Rolland Golden: The Journey of a Southern Artist, Vanishing Paradise: Duck Hunting in the Louisiana Marsh, Manchac Swamp: Louisiana’s Undiscovered Wilderness, and Alan Flattmann’s French Quarter Impressions. Kemp resides in Covington, Louisiana. A Celebration that will Delight!